Every Seinfeld Logo Ever - OMG! Home » The Rest » Every Seinfeld Logo Ever – OMG! Every Seinfeld Logo Ever – OMG! Every episode of Seinfeld opens right up, and skips the drawn out theme song/credits that most sitcoms of the time had (‘Friends’, I’m looking right at your big daddy). 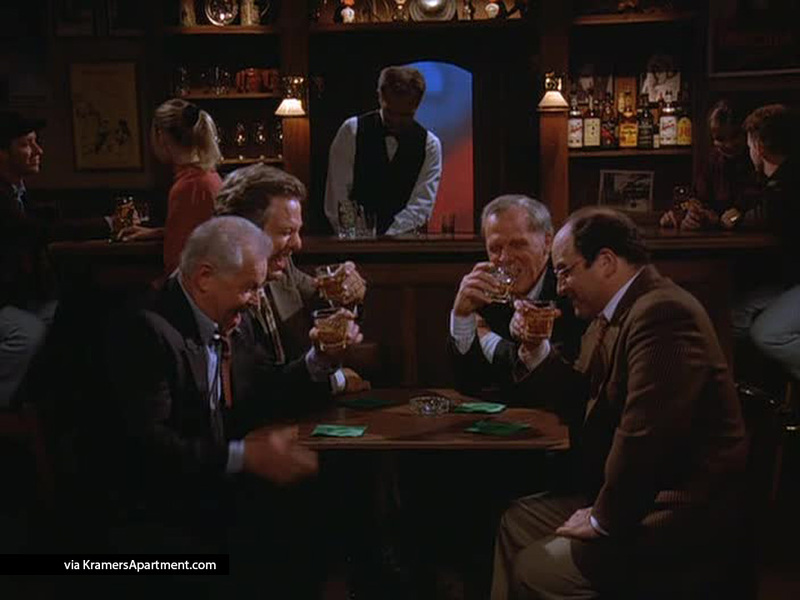 Originally called, ‘The Seinfeld Chronicles’, the pilot is one of only a handful of episodes that does not use the normal title card. The remaining four episodes of the first season featured white lettering for the title. Every episode opened with a snippet from Jerry’s stand-up act. 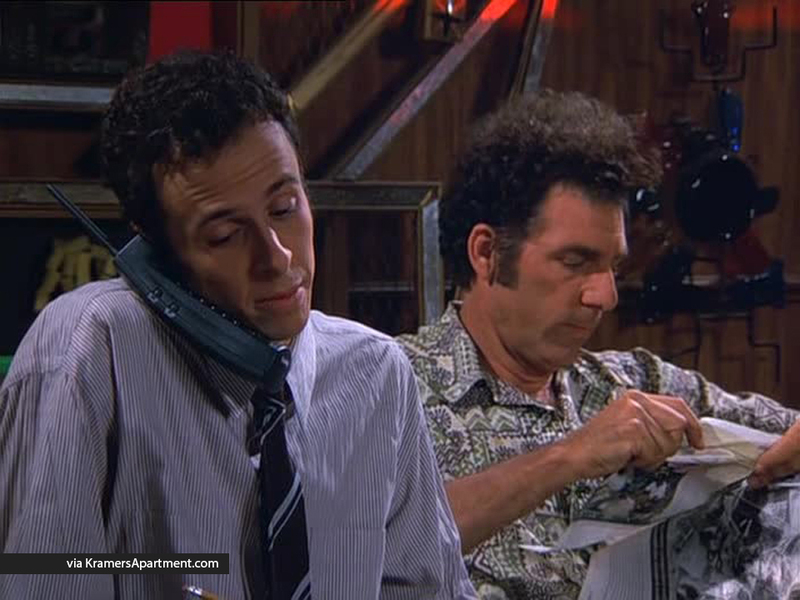 Season one also introduced the famous theme song (learn the Seinfeld bass tab) which mainly uses bass synthesizer riffs. No changes here. Same white lettering over Jerry’s stand-up. The first episode of Season 4 (two part episode – ‘The Trip’) uses the same logo as Season 3. The remaining episodes use a ‘whitish-gray TV static’ oval with purple font and red triangle to dot the ‘i’. I also tossed in the title card shown in the season finale, ‘The Pilot’, where we get to see snippets from the pilot episode of ‘Jerry’. This season features a gray oval, white font, and blue upside down triangle to dot the ‘i’. Personally, this is my least favorite of the Seinfeld logo variations, which has a ‘island green’ oval with blue font and green triangle. This season contains the 100th episode, which did not use the regular logo. Also, the final episode of season 6 is the first episode that does not feature Jerry’s stand-up act in the opening sequence. Season 7. Seven Costanza. It’s Mickey Mantle’s number. So not only is it an all-around beautiful name, it is also a living tribute. Green oval with orange lettering and yellow triangle. Aside from the first two episodes, season 7 episodes all begin with Jerry’s stand-up act. This logo reminds of one of those 3D art paintings that Mr. Pitt becomes obsessed with finding the spaceship in. A black and white checker board oval with light blue lettering and a red accent for the upside down triangle. All episodes in Season 8 feature the title card which fades directly into the opening scene. The final season uses a blue oval with the planet Saturn and stars, an emerald green lettering and the same color for the triangle. ‘The Betrayal’ is in reverse chronological order, which starts with the final scene and then plays backwards. As a result, the logo is shown towards the very end of the episode. FYI – the episode can be played in correct chronological order on the DVD release of season 9. The second to last episode, ‘The Chronicle’, also known as ‘The Clip Show’ doesn’t contain the standard logo. The last episode, ‘The Finale’, reverts back to using the a clip of Jerry’s stand-up in the opening sequence.